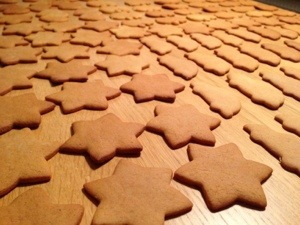 Baking gingerbread cookies always means the beginning of the Christmas season for me. 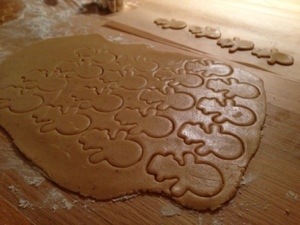 It’s a fantastic tradition we’ve had as long as I can remember to bake right before the 1st of advent. 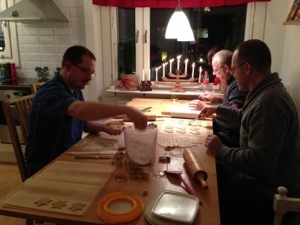 We used to bake with my paternal grandparents and I remember my brother sitting on the table in my grandfathers arms and eating gingerbread dough right out of the bowl. 🙂 Now since moving back home we continue the tradition with my family! 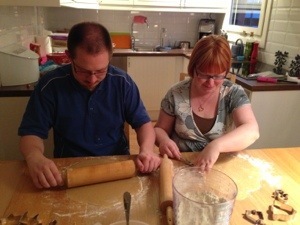 Yesterday was the first time we baked at our place. 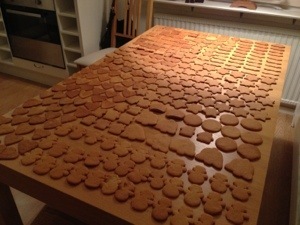 Our cookies filled up our whole kitchen table!